Blackberry Unlock Calculator v2.4 is a free software allows you to unlock any Blackberry mobile phone model. This software is available to free download and we have provided download link at the bottom of this post. To unlock any Blackberry phone, simply download this nice software on your computer and install it. 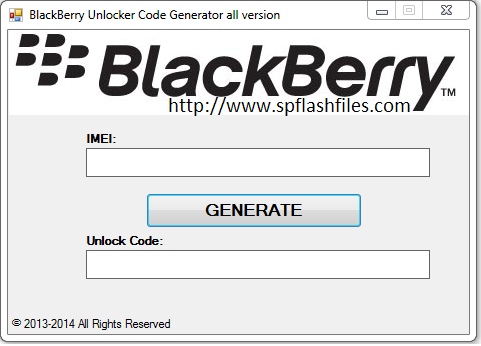 After installing, launch application, enter your phone IMEI and click on Generate unlock code. Below is the list of supported Blackberry phones. 0 Comment "Blackberry Unlock Calculator v2.4 Download"